The PokerNews Cup is Here! Poker never stays still and neither do we at Poker News! We have created a unique, live poker festival at affordable prices with a huge number of ways to win your way to the finals in Melbourne, Australia in October. The PokerNews Cup is our first ever live poker championship. This will take place at the world famous Crown Casino in Melbourne, Australia – the venue for the Aussie Millions - from 21st to 29th October 2007. 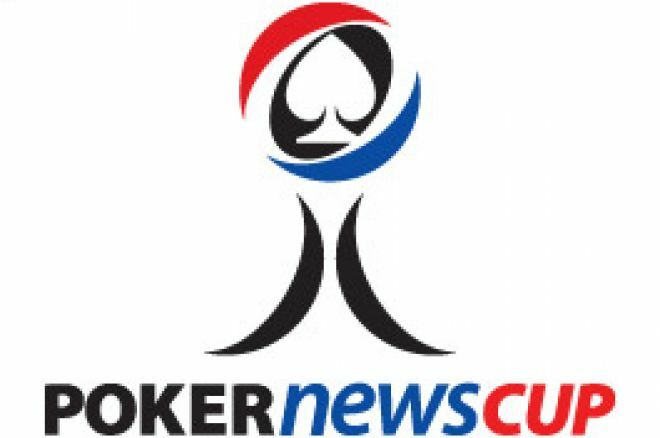 The PokerNews Cup Main Event, for which there are many ways to qualify, is a Aus$3,000 (approximately £1,200) buy-in, plus there will be highly affordable supporting tournaments. We are expecting some 400 players worldwide for the Main Event each of whom will be vying for a place at the final table; this will be broadcast LIVE via Poker News webcast! Now for the great news for everyone living half the world away from Australia – we are giving away over Aus$350,000 in seats to the PokerNews Cup via our world famous Team PokerNews Freerolls! Each freeroll winner will receive a Aus$5,000 PokerNews Cup package consisting of entry to the PokerNews Cup Main Event, a whopping six nights' accommodation at the Crown Promenade Hotel plus $1,500 for travel and expenses. To qualify for entry to a PokerNews Cup Freeroll, you simply sign up with any of our PokerNews Cup online partners. We have an amazing seventy freerolls scheduled. Go now to our exclusive freerolls schedule for details on these freerolls and many others besides. - Invitation to our special Team PokerNews fun day and dinner party. - Team PokerNews gear (cap, shirts, bag, card protector, and much more). - Access to Team staff to help record and report your experience on the internet so your friends and family can follow your progress on our live reporting section. - Access to other Team members such as Tony G (European Champion, Asian Champion, WPT winner) and Noah Boeken, for advice and analysis. The PokerNews Cup festival in Melbourne will boast no less than six championship events all of which will be ranked. The overall points leader for the PokerNews Cup will receive an Aussie Millions 2008 package which consists of entry to the opening event of the Aussie Millions (Aus$1,100 No Limit Texas Hold'em tournament), ten nights' accommodation at the Crown Towers hotel and a $1,000 Food and Beverage Voucher. - 12.30pm: Satellite - PokerNews Cup - 5 Seat Guarantee Aus$25 with rebuys. In addition to the above satellites mentioned in the schedule, Aus$325 single table satellites for the Main Event will be held daily on demand. Also, Aus$60, Aus$125 and Aus$240 single table satellites for events 2 to 5 will be held on demand the day prior to each event. Winners of satellites will receive a Aus$3,000 PokerNews Cup entry while the runners-up in the Aus$65 satellites will receive an Aus$340 satellite entry. Even if, ultimately, you cannot make the Melbourne extravaganza, fear not! The PokerNews Cup is expected to develop into a worldwide tour over the next twelve months. Look out for future developments to be announced.